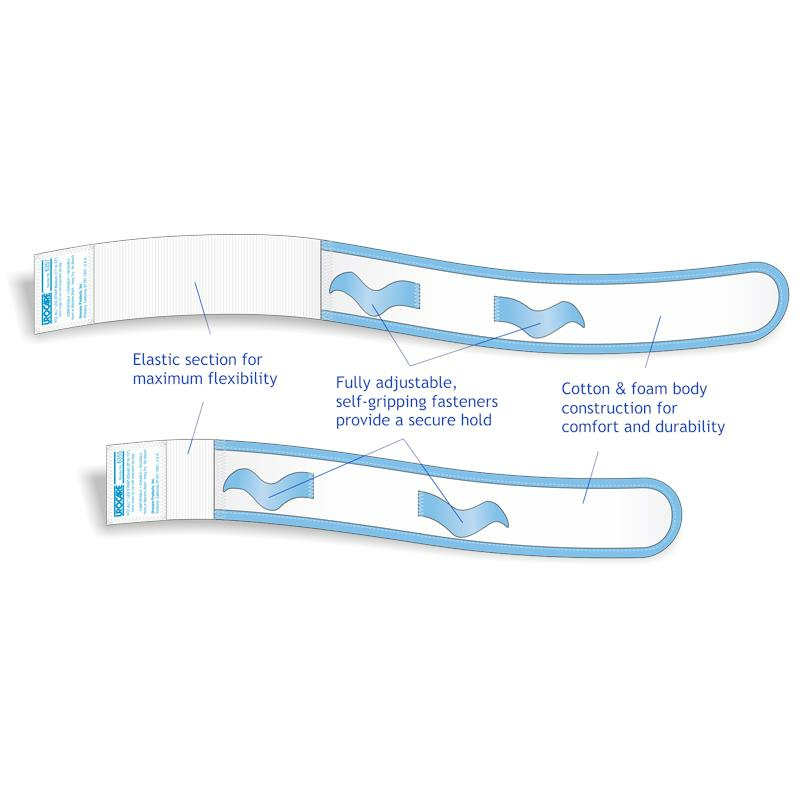 Urocare Fitz-All Universal Fabric Leg Bag Straps will fit most disposable vinyl leg bags. They offer vast improvement in comfort over the traditional latex straps. Fully adjustable, self-gripping fasteners make application safe and simple with a gentle touch. Fitz-All Universal Leg Bag Straps eliminate bruising, pressure sores, pulled hair, circulation restriction and burns caused by rubber straps. - Be certain that the bottom drain valve or thumb clamp of the Uro-Safe leg bag is closed to prevent spills. - Thread the self-gripping fasteners through the strap eyelets in the four corners of the leg bag. Note: the fasteners must be threaded from under the leg bag and not over the inlet or outlet valve openings. - Strap the leg bag to the inside thigh or calf of the desired leg, making certain that the inlet valve is in an upright position. Then adjust the straps, but not too tightly. Note: The elastic sections are made in part with natural latex rubber which may cause an allergic reaction in some individuals.